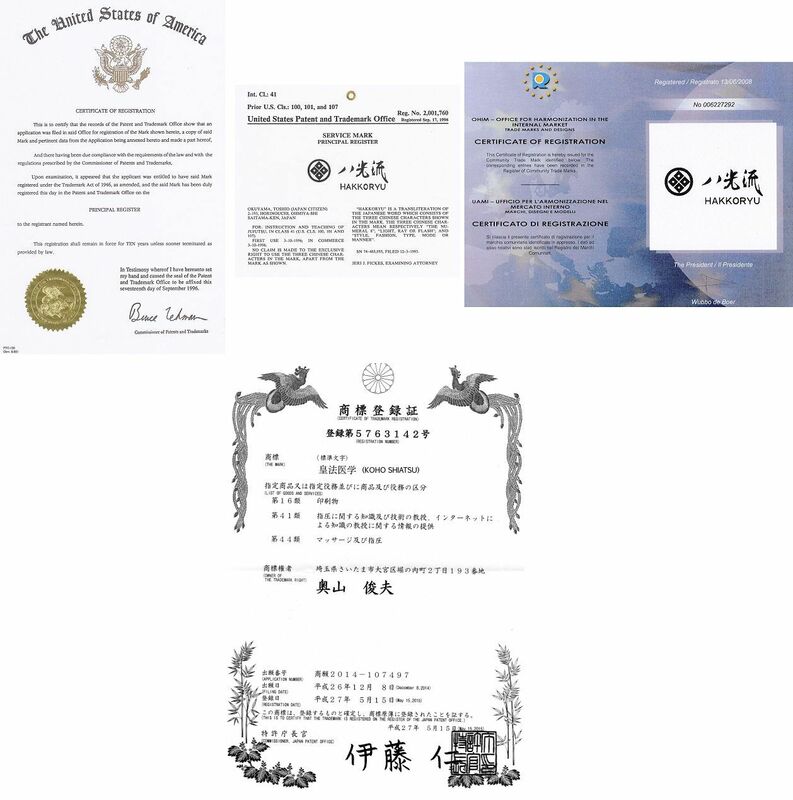 “Menkyo Shihan”, meaning licensed teacher/model, is the first teaching license administered in Hakkoryu, granting the authority to issue Shodan through Yondan grades (1st through 4th black belt). This list encompasses each Hakkoryu Shihan in good standing with the Hakkoryu Hombu Dojo In Omiya, Japan who teaches outside of Japan or is non-Japanese. For a list of Shihan in good standing within Japan, please see www.hakkoryu.jp. Also included here are Hakkoryu Yudansha who have established their own dojo under the supervision of a Shihan, and have received their formal dojo licensing from Hakkoryu Hombu Dojo. The individual may be deceased. In some cases the individual in question has never held the Hakkoryu Shihan and/or Dojo license (and may have never been a registered member of Hakkoryu) and may be misrepresenting themselves as being so. Also see Fraudulent Claims By Outsiders. Temporary Suspension from the ryu (“Jomei” 除名) may have occurred due to failure of an individual in good standing to abide by Rules and Regulations such as failure to stay current with Shihan dues, failure to process pupil registrations or dues in a timely manner, etc. Once the issues are resolved, the Shihan’s name is reinstated in good standing. Permanent Expulsion from the ryu (“Hamon” 破門) may have occurred due to ongoing issues such as those noted above and/or because of more severe breaches in the Shihan’s Oath to the ryu. Expulsion renders any rank or licenses (menjo, menkyo, makimono) the individual may have held null and void and removes the individual’s right to teach or represent Hakkoryu Jujutsu and Hakkoryu Koho Shiatsu in any manner whatsoever. Upon receiving Hamon the name of the individual may be revealed publicly in Japan and abroad, especially if they continue to misrepresent themselves in regards to Hakkoryu Jujutsu and Koho Shiatsu. Mudansha and Yudansha students in good standing at the time of their Shihan’s expulsion are asked to contact their Regional Representative in order that they may continue their study of Hakkoryu under a Shihan in good standing. Honorable Retirement from the ryu may have occurred voluntarily due to the individual’s personal reasons, relieving them of any and all responsibility as a Hakkoryu Shihan. This does not necessarily mean a severing of ties with the ryu, but the individual agrees never to teach Hakkoryu related methods again with no negative connotation attached. In the cases of those who choose retirement but continue to teach Hakkoryu Jujutsu or Koho Shiatsu related methods afterwards, thus falsifying their reasons for retirement may receive Permanent Expulsion from the ryu (“Hamon” 破門). For clarification about this list, or if you have questions about an individual claiming to teach or otherwise represent Hakkoryu whose name is not on this list, please feel free to send a message to the Hakkoryu Secretary or appropriate Hakkoryu Regional Representative using the Contact page.